Daanbantayan mayoral hopeful Vicente Loot, during the 888 News Forum, said he will wipe out unlawful drugs in the municipality in 100 days if elected. Loot said the widespread illegal drug trade under the current administration is a huge threat to the municipality’s economic progress. 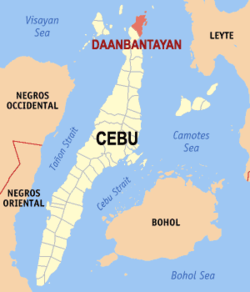 He warned drug lords to stop their illegal activities in Daanbantayan. He further stated that if they don’t heed his warning, these drug lords, drug traffickers and drug pushers will be arrested and charged in court, or worse, they will be killed in anti-illegal drug operations. Incumbent Mayor Augusto Corro said he could not imagine the illegal drug problem can be solved in 100 days. He said the Loot family ruled the town for 15 years and they failed to eradicate the said problem.